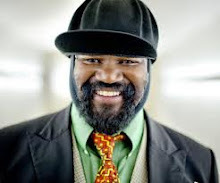 All Things Cullum: Interview: Gregory Porter...in his own words. 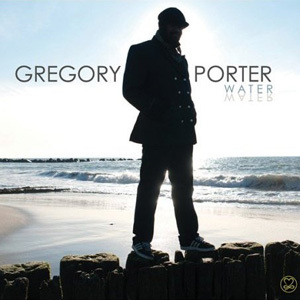 Interview: Gregory Porter...in his own words. 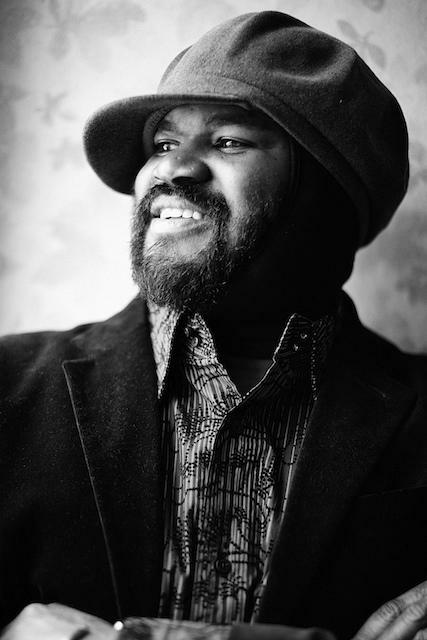 When Gregory Porter was in London for a flying visit a few weeks ago, I had the privilege of meeting and interviewing him. He was utterly charming and full of fascinating stories. What a treat when Gregory even burst into song a couple of times! Read on to find out about his musical influences and working with Jamie Cullum. Nat King Cole. My mother had a couple of his records. She just loved beautiful music. When I was little, I sang in church and the emotion of Cole's songs felt familiar to me, though in church, it's many times more emotional, even if it's just a ballad. My mother sang and played a little piano. There was a singing group in our family when we were little: myself, my sister and my brother. How do they feel about your success? It's great! They kind of figured it because I was singing all the time as a child and they used to tell me to shut up! Now they're quite excited by it all. Do they come to see you perform? Yes. My sisters come to New York and when I did some concerts in California, they all came. I wrote a song about my mother that I hadn't performed for them yet, so it took on a whole different feeling when I performed for them in Catalina, Los Angeles. It will be on the next record. What is it about jazz that appeals to you? The freedom, the subject matter, the communication with the instruments or the voice. When I skat, when I'm vocalising the lyric, it's just like any other instrument. Phrasing, singing behind the beat, singing ahead of the beat, singing right on the beat. Really, it is the freedom. In pop, you have to restate the melody almost exactly like you did at the beginning. In jazz, you are almost required to stretch and bend and flex that melody and that goes with my personality. I just want to do it just a bit different next time. Can you describe your song-writing process? Sometimes the whole song will flow from the pen, sometimes a phrase. For example, there is a song on the next album that came from walking round the city. We were walking by the Tower of London. Seeing the construction of this building, the ramparts, just the idea of this massive fortress, I started to think about a fortress for love, something to protect love. The lyrics just started to flow as we were walking and it can come like that, in the strangest of ways. There was a song in my REM (rapid eye movement) sleep. I woke up singing the song and immediately started to write it down. It wasn't any good but it was a whole song, so that was interesting to me. That's happened before but I haven't done anything with it. I do write a lot. When you say prolific, there are songwriters we haven't heard of that are producing 20 songs a day but I imagine if someone sat me in a room and said 'this is all you're going to do', I could produce like that if that's what they paid me to do. I like to write from personal experience, real-life situations. Going back to jazz, there are a whole lot of human emotions that are to be talked about and dealt with. There's the relationship between man and nature. I've been working on a song recently. I went to a park when I was a kid. I remember seeing the view of this park and I was just running in. Now you have to pay to get in. The song is called 'Merchants of Paradise' and is the experience I used to have of being able to go into this nature reserve. There's a whole lot of things to talk about. Love is a great thing to talk about for sure but there are other things. 'Lonely One' is a personal experience, 'Pretty' is a girl I know from Brooklyn, 'Magic Cup', all of those things. And I sing jazz. I'm not making a statement, I'm not trying to shift the course of the music. It's just where I'm coming from. Your debut album 'Water' received a Grammy nomination, did you ever expect it would be so well received? It was great, I enjoyed it, I was just hoping other people would enjoy it aswell. Once people hear it, that can sometimes be a problem when you don't have the mechanism to get the music to the ears that you want to hear it. That can be difficult. The music industry is a strange place right now. But it's great people have been hearing it around the world. Fascinating to just have a simple melody while sitting in a coffee shop or walking down the street and now I'm singing it in London! Do you like to work with the same musicians on different projects or bring in fresh faces for a new direction? I've been singing some of the songs from the album for quite some time, even before I finished 'Water', so the familiarity with the music was quite good and it sounded the way I wanted it to sound. The horns I've changed, the rhythm section remains the same for the next project, I've added an additional producer. The next project is similar in that its influences are from many more places, maybe more soul influence, but just trying to come from the heart. There are definitely straight ahead feels, a couple of standards, more originals and more influences. How hard was it to decide which songs made the album? It's really organic, these are the ones that feel good to me right now. If I could put twenty songs on, then I would. My mother had 8 kids and she used to tell each one "You're my favourite!" But she used to pull me to the side and say "Gregory, if it wasn't a sin to have a favourite, you'd be my favourite." I enjoy all of the songs, there's more I wanted to put on but that's just the way it is. An interesting thing when I did 'Water.' Some critics listen to the album and think that is the sum total of what you are and what you do. So if you come out with something different, they say you're moving in a new direction. I just didn't have the time or budget or it didn't make sense for me to put it all on one album. Critics will say 'These ten songs were just a phase in their life', No! 'Kind of Blue' was probably in Miles Davis ten years before he produced it. An album is just a sample of what they are as an artist. To get more of that artist, you probably need to go to live shows,not just one, to smaller venues, when they test new material, where they can relax and stretch out. You need to pay attention to an artist. It is harder work than just sitting and listening to an album. When you really delve into an artist, you need to dig into all their stuff. When I perform at Smoke in New York, each set is 45 minutes - 1 hour long and you can do 6 or 7 songs. People want to hear 12 songs in 45 minutes, you can't do it! When you produce an album, everybody has their favourite they want to hear. Sometimes I've been adding some of the new songs that I write, so now they want to hear all the old and the new songs! Do you play every week at Smoke? Yes, every week that I'm in town. What kind of crowd do you get, the same people? I do get the same visitors but since Jools Holland, I've been getting a lot of people from the UK stopping by, which has been great. I did a little documentary for French television. Some people have heard me on BBC. Those people have started to come. You have to have a reservation and I know they have to turn people away sometimes. I heard a lot of good things after your performance on the Jools Holland show. That was a fun experience. I'm up to performing any of my songs. It was interesting that Jools particularly wanted to do that song, When someone wants to hear one of my songs, they usually want to hear me roar like a lion, which is cool, but he chose that song and stylistically and writing-wise, that represents me well, so I enjoyed doing it. Watch Gregory perform 'Illusion' on Later with Jools Holland. I wanted to ask about your training as an actor, working on Broadway, it must be a quite a change to go from being very disciplined in a show like that to performing your own solo show? There are some similarities that I bring from both worlds. For theatre, you really have to open yourself up. Working with some master actors and stage musicians for theatre, there are certain things they do to bring themselves from here to here. All that training helps me, even for the delivery of the song. For jazz, there are some interesting stories and you have to put on a cloak of these characters. Actually, some of the discipline for both is interchangeable. There is an individual freedom I get from dancing on this tightwire of a song, whatever it is, this individual freedom that I have, that I don't have to be in a certain place at a certain time, or stand in the light at a certain time or listen to a director but some of the things from acting: projection, getting my point across, all those things find a way into my performance. 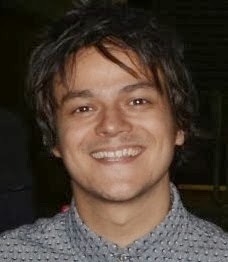 Jamie Cullum is a big fan and he's featured you on his radio show. Any chance of a Porter/Cullum collaboration in the future? I'd love to! I think there will be actually, I don't know when but there's been some mention of it. I have an interesting relationship to his music. When an event happens in your life, whatever the music was playing at the time becomes the theme for that time. I was watching a movie with a close friend, 'Gran Torino'. We just kept rewinding the song and watching the credits, drinking wine, eating fruit, it was a great time and very cool music going on in the background. It was just a warm feeling. At some point when I properly meet him and we can have a drink, I'll tell him the whole story. Was that the first time you'd been aware of Jamie? No. I knew about his music for some time. He is cool, very cool. The youthful energy, the individualism, moving the music forward to a new generation. There are so many different avenues of music that have to work in order for music to progress. Jamie's great! With his media outlets, the people he brings to the listeners and the listeners he brings to the artists, there are some people out there who wouldn't have heard of me had Jamie not spoken my name and said 'wait a minute!' I listened to him a couple of times and thought he must have some interest in my album or something because he was saying 'listen to this guy' and I really appreciate that. Most people know Jamie Cullum, when I tell my friends that he has featured me on his radio show and played some of my tunes. 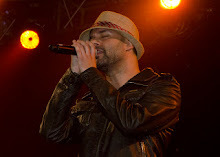 He's a special artist who has the ability to evoke a very unique and interesting sound, an interesting voice. I love his style. They like him in BedStuy too. I live in Brooklyn. BedStuy is known for being an area of hip-hop artists. Biggie Smalls, as well as a bunch of jazz artists. Jay Z and Biggie Smalls come from that area. I'd like [the new album] to be out later this year but it may be next year. I just did a video project for '1960 What? ', it's in the editing process now. I went to Detroit and we shot the video. It will also be cut into a short documentary aswell. We're changing genres, taking some of the music from 'Water' - 'Wisdom', '1960 What? ', and 'Lonely One' and they're being reconfigured for dance. So several things going on. But the new music I'm just finishing up, literally last week in the studio and doing the mixing and mastering as we speak. Any chance of a UK tour? A proper tour should happen once more energy is built! ~ Many thanks to Gregory and Heather for a lovely day! I also got to watch Gregory soundcheck (WHAT a voice!) so stay tuned for a photo or two from that. Gregory plays two nights at Pizza Express Jazz Club again in October for Georgia Mancio's ReVoice! Festival. Check out the full line-up. Tickets are available now and are guaranteed to sell fast so book yours here! Here's a really good interview with Gregory by Gary Walker, definitely worth a listen! You can read previous interviews in this series here with more to be added soon!